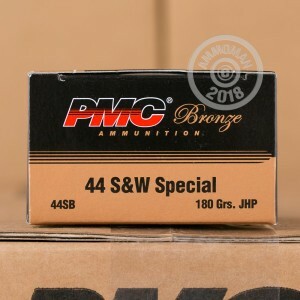 This 44 Special ammo is great for range training and for hunting medium game. This ammo has an excellent jacketed hollow point projectile, which will produce consistent groups and lethal strikes. This JHP bullet has great expansion and weight retention. It can be used to take down game within about 100 yards if using a revolver, and can be used a bit further out if using a lever action rifle. This round is also great for home defense, for the same reasons that it is good for hunting. 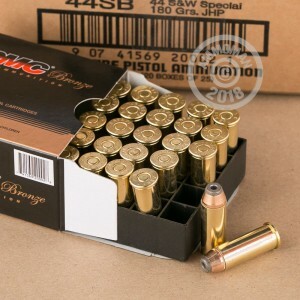 Each round uses a Boxer primed brass case, which is reloadable. 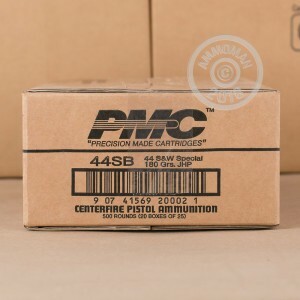 PMC makes large quantities of very reliable and consistent ammunition. Their quality control extends over their entire supply chain, which means that they use only the best components when producing their products. PMC is based in South Korea, and their produces are sold all over the world.